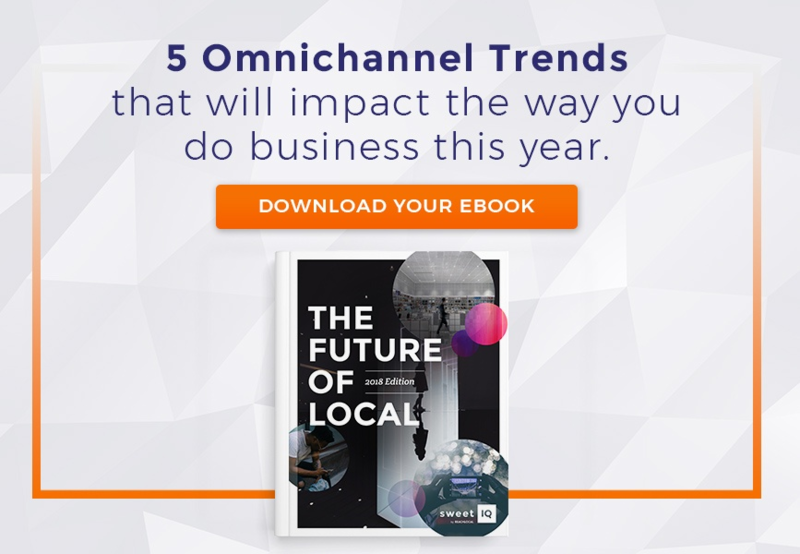 The growth of omnichannel marketing means one thing for your business: you need to stay on top of creating the perfect shopping experience, whether online or offline. Your brand data should be seamless and accurate, your brand voice should be knowledgeable in its approach. If you’re lacking in any of these areas, it could have detrimental effects on your ROI. The good news is that there are steps you can take to achieve the perfect consumer experience. Of course, you’ll need to listen carefully to your audience and react quickly enough to optimize your omnichannel strategy. Let’s start with one of the basics: boosting your store locator. Though your store locator may seem like a deceptively simple element, it’s actually very important for a number of reasons. For starters, consumers nowadays are more likely to find your business through online search, so having up-to-date locator information is crucial to driving in-store foot traffic. It’s also an important step in the customer journey, leading them from online to offline interaction. And finally, keeping your customers well informed generates reliability and creates strong customer relationships. Include a CTA: A great call-to-action will often lead to higher click-through rates and greater potential for generating in-store traffic. If potential customers search for your business through a mobile device, but are given a bland CTA (or, worse, none at all) you may be missing out on a potential conversion! It doesn’t have to be complicated — your CTA could be as simple as making a reservation, placing an order online or just encouraging people to come try new things in store. Leverage your sales and managing team: Pick the brains of your sales associates and store managers because, ultimately, they’re the people on the ground floor. They’ll have superior knowledge about your location, the surrounding area and the type of customer that normally follows through on a purchase. Their expertise will help you adjust your Store Locator by targeting specific audiences, and indicate what is most important to them, i.e. store times, peak hours, business number, and business description. Always have accurate information: On the same wavelength as the last point, your brick-and-mortar team can help you maintain accuracy, but this requires its own mention because it’s not something to be taken lightly or for granted. Without accurate information, your business risks a steady decline in the eyes of both your customers and search engines. As a best practice, sync your local data with new in-store technologies like beacons and smart shelves. If you aren’t offering easy, seamless, and spot-on information, someone will be put into a situation in which they’re inconvenienced by your store and you likely won’t have the chance to win that person back. There’s nothing worse for your brand than having someone waste time heading to your physical location, only to find out it’s closed, despite contradicting information online? Adjust to voice search: Voice assistants will play a major part in the future of local marketing, that being said you need to align with voice search. The number of consumers using voice assistants is continuing to rise and, if your data does not match up to their queries, it’ll put your business in danger of losing consumer trust. Worse – your results will stop appearing in search results and your business will have a much rougher road ahead getting found. Use Schema Markup: Schema’s helpful code is a useful way to boost your SEO metrics and is especially useful for your store locator. The code is put directly onto your website in an effort to enhance a consumers search engine experience and return more informative results to users. In the meantime, Schema will also analyze and pair your content with the data it receives from consumers’ interacting with voice assistants, like their habits and likes. Remember, This is Just the First of Many Steps. While your store locator information is incredibly important, it’s also worth noting that this is just one step to take in crafting the perfect customer experience. In most cases, your store locator is the first point of contact for potential consumers, so if there’s any one point to drive home, it’s to make sure your information remains tight and accurate.